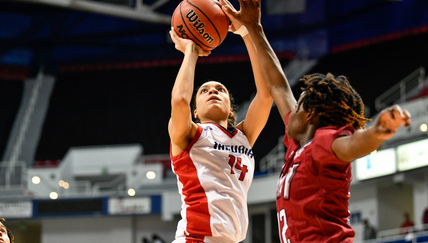 Savannah Jones posted a career-high 31 points en route to the South Alabama Jaguars home win over Troy on Saturday. The redshirt sophomore guard hit 4-of-7 three-pointers against the Trojans and posted 11 of her 31 points in the decisive fourth quarter. Jones helped seal the deal for the Jaguars by hitting three crucial free-throws in crunch time and nailed a three with one minute left in the game to give the Jaguars a lead that they would hold onto.